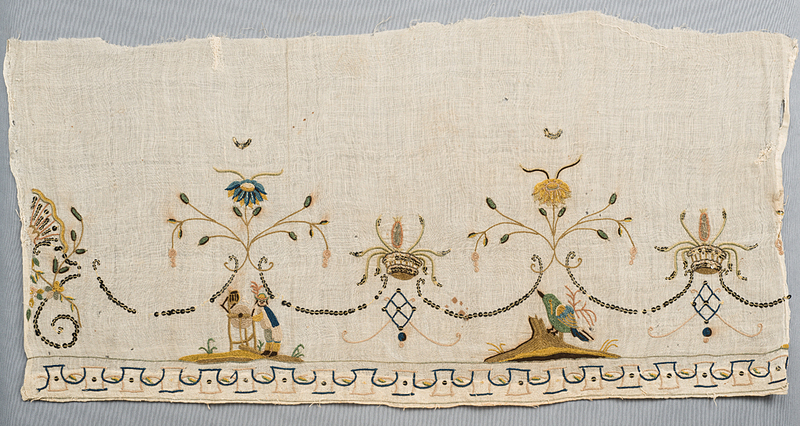 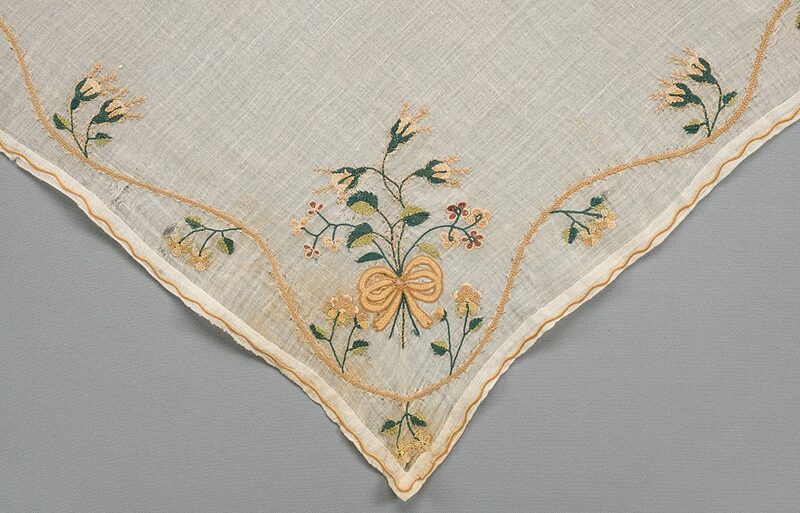 This embroidered fragment, with polychrome silk embroidery on a very fine cotton mull ground, has the additional embellishment of metal sequins and select areas of metallic thread. 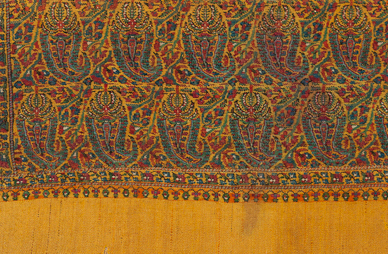 When new and shiny, these metallic elements would have added depth and sparkle to the garment. 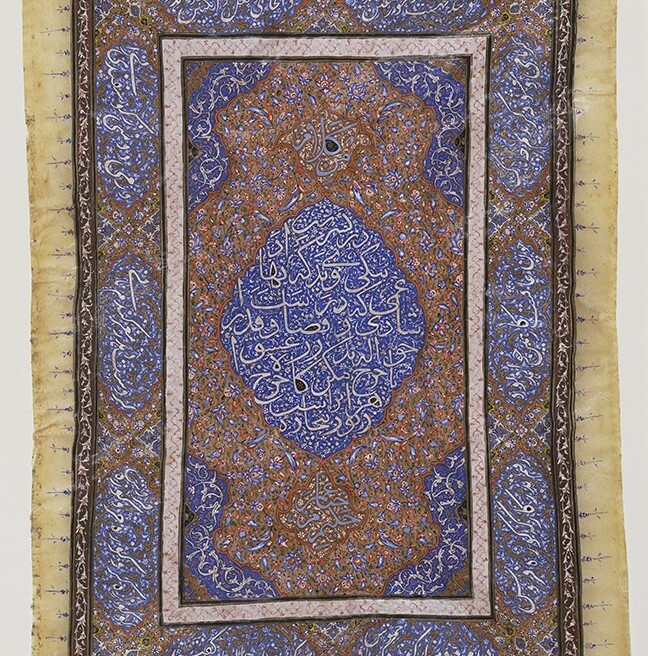 This page, and SC 1990:2-22, appear to have been made as a double frontispiece for a manuscript of Omar Khayyam’s scientific treatises. 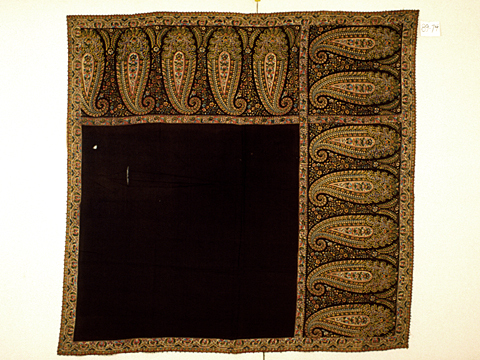 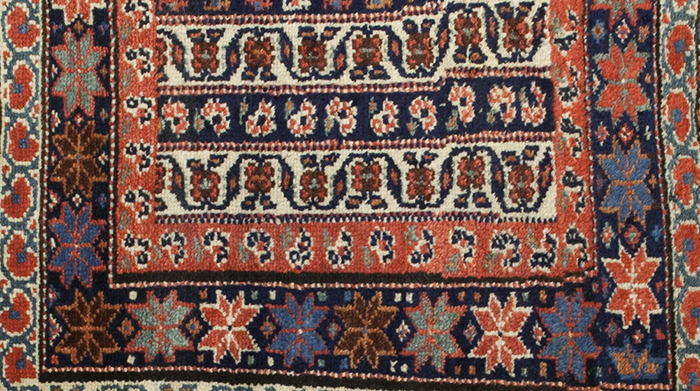 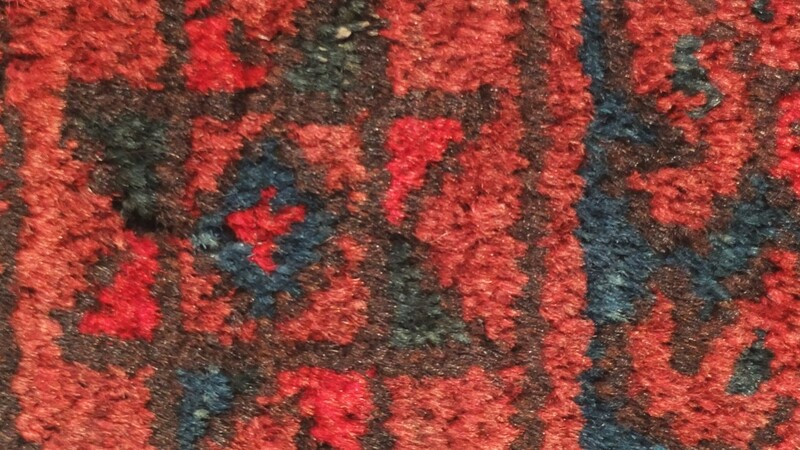 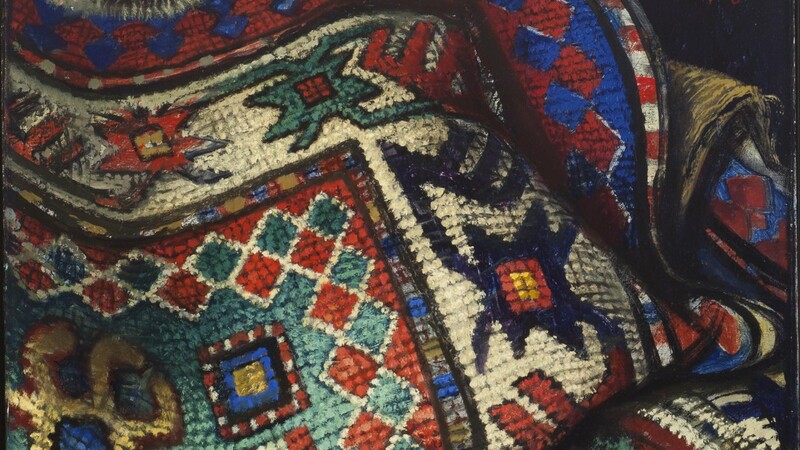 This textile is the front part of a khorjin (bag). 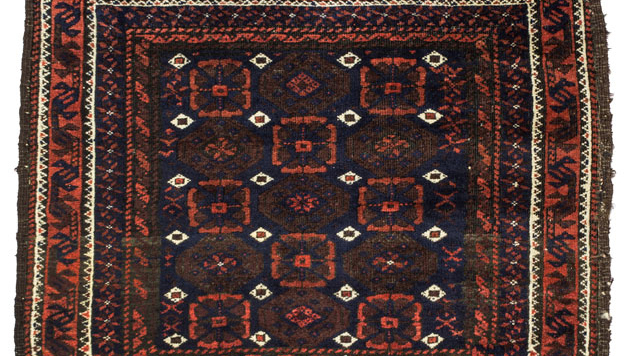 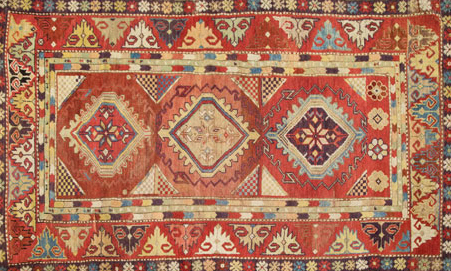 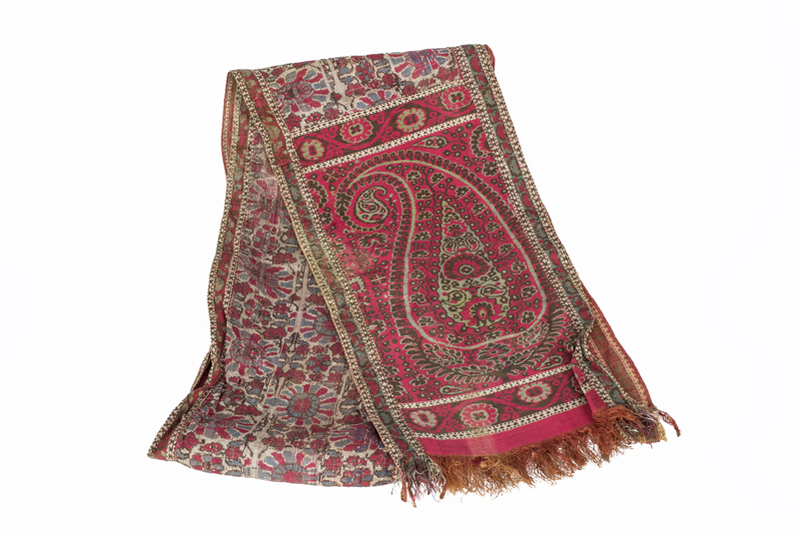 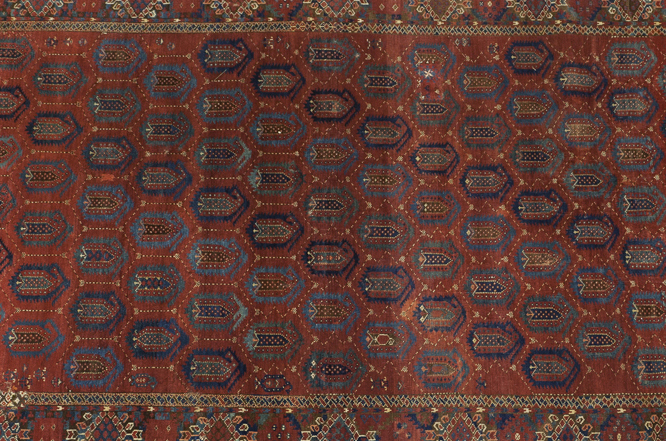 It is believed to have been woven in the early twentieth century in a rural region at the border between northwestern Iran and Azerbaijan.